The Hong Kong Maritime Museum is a vibrant, cultural institution dedicated to preserving, collecting and displaying objects that tell the story about trade and maritime in Hong Kong and the Pearl River Delta. 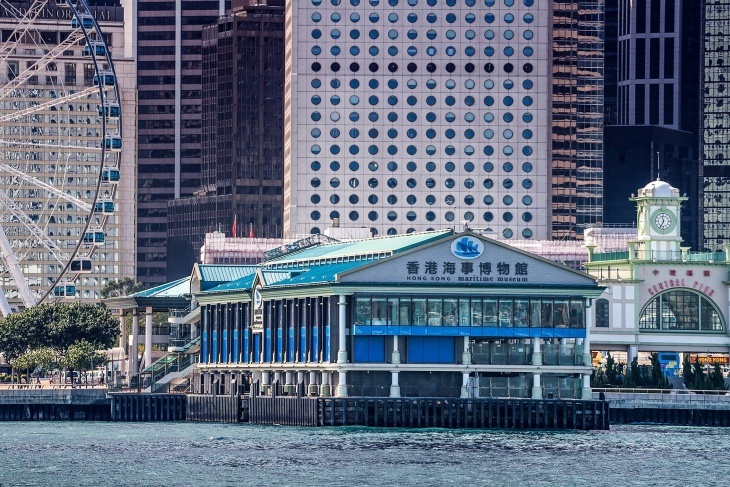 A non-profit registered charity founded in 2003 by members of the Hong Kong Shipowners Association, the Museum opened in September 2005 at Murray House in Stanley and relocated in 2013 to Pier 8, in the heart of the Central Harbour Waterfront. Today the Museum attracts 100,000 visitors annually where across 4,400 square metres more than 1,200 objects are displayed in 13 galleries on three levels. All of which uniquely overlooks a bustling Victoria Harbour. A special exhibition and events space, resource centre, roof-top café and gift shop augment visitors' experience and patrons and the community of Hong Kong actively engage in education and public programming offered for schools, community groups and families. Moving to Pier 8 followed a public tender process initiated by the Hong Kong Government, which was awarded to the Museum in 2009. The Government, a principal contributor, provided funding to support the cost of relocation and new construction and has committed to an operational subsidy for the first five years of operations. To promote a greater knowledge of Hong Kong, China and Asia’s maritime history and the vital role that ships and the sea play in our past, present and future. The Museum does this by providing the community and visitors with an exceptional museum experience and opportunities to learn about Hong Kong’s heritage and how it links with the rest of the world. To be the Hong Kong community-based centre of excellence for exploring local and regional maritime and shipping issues. Children's Workshop: What do you know about Spices?